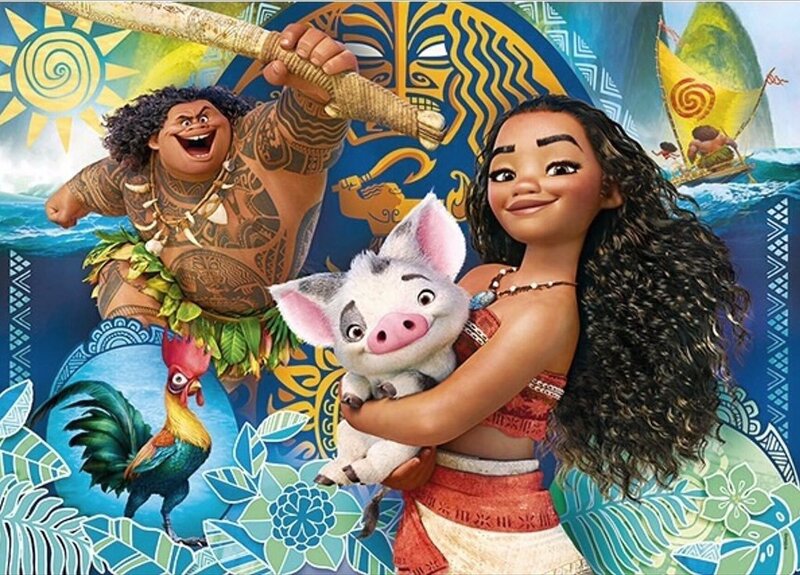 Disney’s newest animated film, Moana, has finally received its full trailer! Mere weeks before the movie debuts in theaters across the world on November 23rd, fans can get a sneak peak at the action and characters in this newest release. Moana takes place in the ancient South Pacific, and follows the adventures of sea navigator Moana as she sets sail with the mysterious deity Maui in search of a legendary island. Fans have been looking forward to the movie since the original announcement in 2014, and are sure to enjoy this newest look at Disney’s upcoming film! Remember, the movie comes out this November 23rd, so mark your calendar and look forward to it! In the meantime, check out the released trailer below. Legendary Films will be partnering with Nintendo in order to create a new Pokémon live-action movie based on the Nintendo 3DS game, “Great Detective Pikachu: Birth of a New Duo”! The film, which was announced last month, has recently unveiled that scriptwriters Nicole Perlman and Alex Hirsch will be working on the film’s script! Perlman is best known for her work with Marvel films “Guardians of the Galaxy” and the upcoming Captain Marvel movie, while Hirsch is the creator of Disney’s popular “Gravity Falls” cartoon. 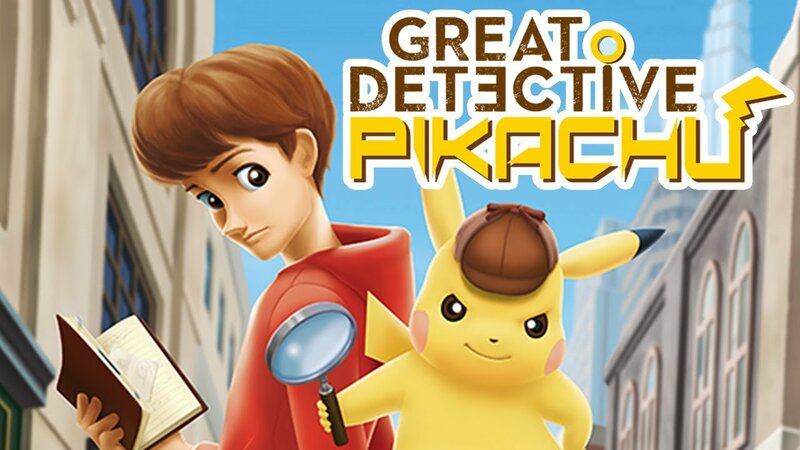 Great Detective Pikachu follows the story of a talking Pikachu who works to solve mysteries around town with his human partner and sidekick, Tim Goodman. The game itself released in Japan this February, with no plans announced as of yet for an international release. Check out the trailer for the game below, and look forward to the Detective Pikachu movie’s release in 2017! San Diego Comic-Con never fails to impress fans with its wide variety of announcements on the hottest and latest movies, comics, toys, games, and more, and this year’s iteration didn’t fail to impress! With dozens of big-name companies showing off their best and brighest products for the next year, there’s a lot to dig into over the next few months! Some of the biggest names in the industry were excited to show off their TV and movie projects for the next year, and fans were ready to eat up every bit of it! Reveals ranged from DC’s reveal of the Justice League trailer, as well as trailers for Wonder Woman, Suicide Squad, and the upcoming superhero fighting game Injustice 2, to Warner Bros. unveiling the world’s first look at Kong: Skull Island on top of trailers for King Arthur: Legend of the Sword and the LEGO Batman Movie. 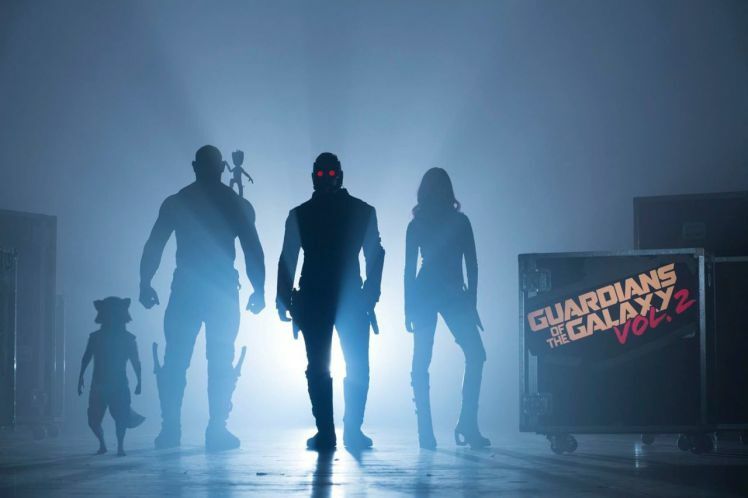 Not one to slouch, Marvel also unveiled a number of looks at their TV and movie schedule for the next year, with franchises like Luke Cage, Iron Fist, Doctor Strange, the Defenders, and Guardiands of the Galaxy strutting their stuff. Other big releases included the announcement of Godzilla: Resurgence for international release sometime in 2016, along with an entire panel dedicated to the new Pokémon Go phone game phenomenon, which took a look at future features and add-ons that are slated to drop for the game in the near future. Popular franchises like The Walking Dead, Star Trek, Sherlock, and more were also at the event, with dozens of stands, booths, and talks to help hype visitors up for months to come. With so many cool news announcements and releases, this year’s SDCC was just as amazing as fans have come to expect from the annual convention, and has left us all waiting in anticipation for next year! A new trailer has released for the brand-new upcoming film, “Godzilla: Resurgence”! The film, which will be the first Japanese-made Godzilla film since “Godzilla Final Wars” in 2004, is a collaboration directed by “Neon Genesis Evangelion” and “Nausicaä of the Valley of the Wind” director Hideaki Anno and “Attack on Titan” storyboard artist Shinji Higuchi. 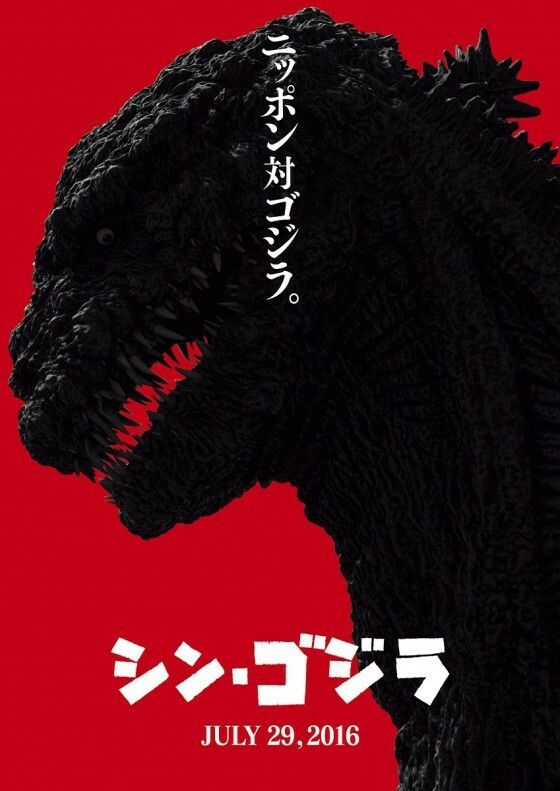 The film promises to be one of the most scary representations of the iconic giant monster, with themes and designs inspired by the original 1954 film, and the newest trailer shows Godzilla’s new design off as it rampages through towns and cities. The film will hit theaters in Japan on July 29th, with no news yet as to an international release, so look forward to more news on Godzilla later this year! After years of beloved animated films and franchises, Dreamworks will be celebrating over 20 years of animated film history with their “Dreamworks Animation in Concert” orchestral presentation! The concert is planning on an international tour, and will begin its journey at the Wolf Trap’s Filene Center in Vienna, Virginia on June 30th. 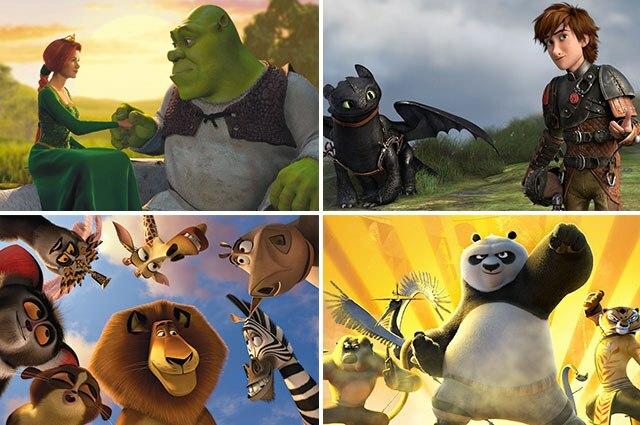 The concert will cover a wide variety of Dreamworks’ biggest hits, including classics from Shrek, How to Train Your Dragon, Kung-Fu Panda, and more alongside animated clip shows from the films. After their debut in Virginia, the concert will be stopping by dozens of other cities later this summer, including other USA locations like Houston, San Diego, and Salt Lake City, along with international locations like Moscow, Calgary, and Melbourne! Check out the official trailer below for a taste of what’s to come at the official premiere, and keep an eye out for a location near you! Disney’s “Finding Dory”, the anticipated sequel to the 2003 animated film “Finding Nemo”, released in theaters across the nation on Friday, June 17th, and has since earned over $9.2 million dollars on its Thursday preview night alone, and $136.2 million over the opening weekend. This accomplishment marks the new movie as the highest debut box office numbers of any animation film in history! Produced hand-in-hand with animation studio Pixar, “Finding Dory”’s gigantic numbers come after Disney’s “Zootopia” film similarly dethroned Frozen for the top opening weekend, earning $75 million on its opening weekend. 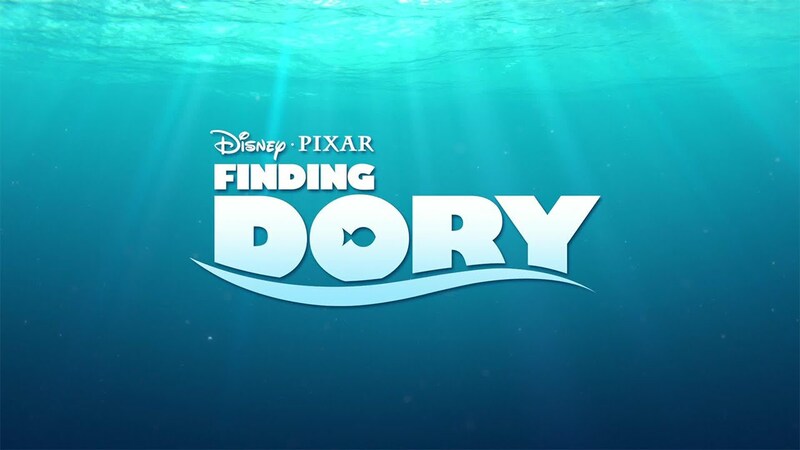 “Finding Dory” continues the story from “Finding Nemo”, following the adorably goofy fish Dory as she explores the ocean to find her parents and escape a California public aquarium. The film is in theaters now, so make sure to find the time to check out Disney’s newest hit film! After months of news and teasers, Disney has finally released the first animated trailer for their upcoming film, “Moana”! 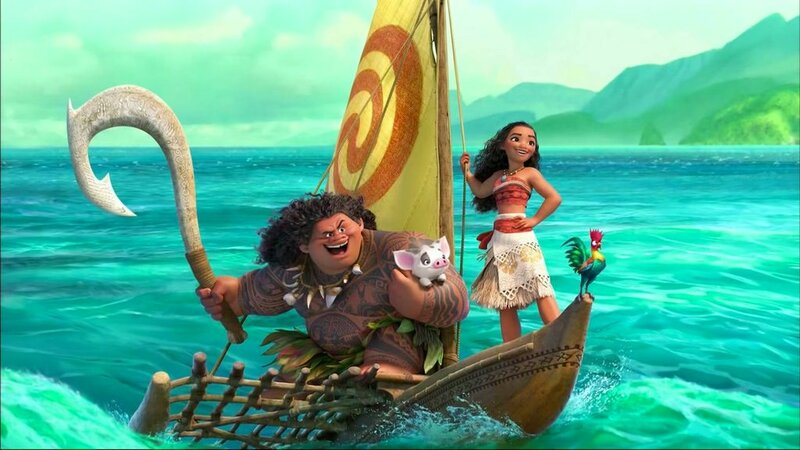 The film, set in the ancient South Pacific, follows the adventures of sea navigator Moana as she sets sail with the mysterious deity Maui in search of a legendary island. Originally announced in October 2014, details on the movie have been few and far between until now, so fans can finally get excited for Disney’s new CG masterpiece! “Moana” will hit theaters nationwide on November 23, 2016, so make sure to mark your calendar and check it out for yourself! Video game and entertainment company Square-Enix has had its hands full with the latest entry in the internationally renowned Final Fantasy franchise, Final Fantasy XV. Scheduled to release on September 30th, the new video game has a number of side projects that will tie directly into the game’s expansive universe, including several spinoff games. On top of this, Square-Enix has finally shown off the first trailer for a new movie in the XV universe, titled “Kingsglaive: Final Fantasy XV”! The movie, which will be rendered entirely in CG like their 2005 movie, “Final Fantasy VII: Advent Children”, the movie will follow King Regis Lucis Caelum CXIII, father of the XV video game’s protagonist, Noctis Lucis Caelum, as well as Nyx Ulric, a member of Regis’ Kingsglaive unit. The film is scheduled to release in Japanese theaters on July 9th, with an English release soon to come afterwards. 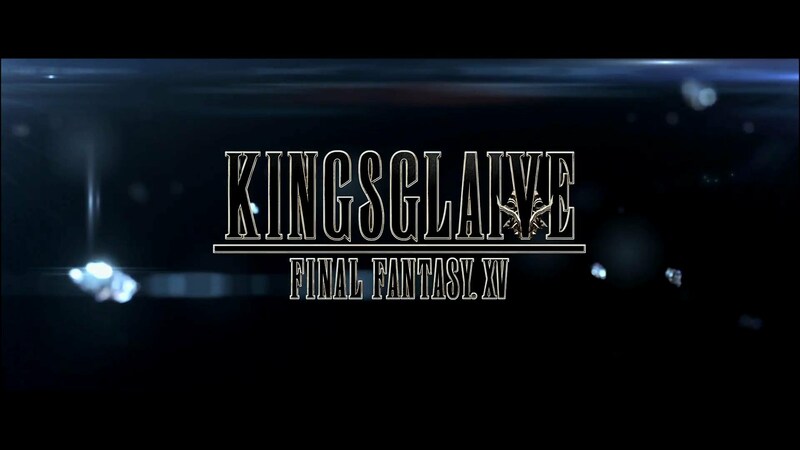 Check out the teaser below to see Kingsglaive in action! The movie adaptation of the “Mighty Morphin’ Power Rangers” franchise has slowly been unveiling details and designs about the upcoming film since the initial announcement in May 2014. 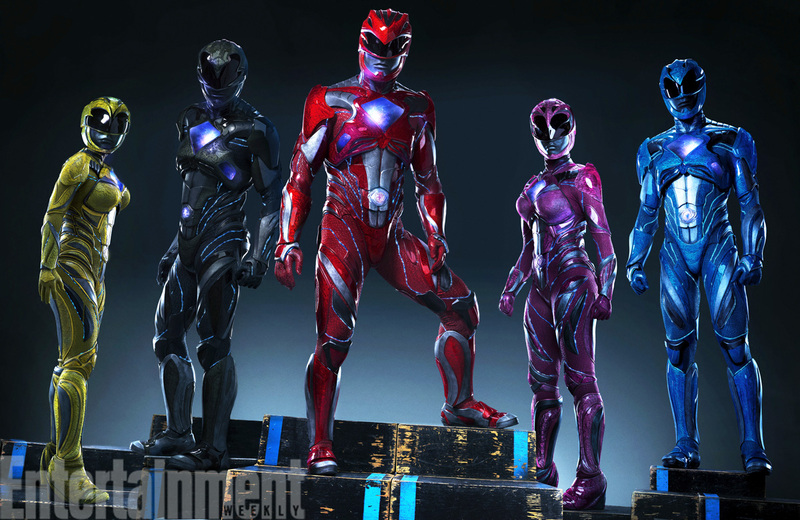 Now, diehard Power Rangers fan finally have their first look at the Rangers’ iconic suits! Based on the designs used in the original Power Rangers television season, known as Zyuranger in Japan, the suits have been upgraded from spandex costumes into full-armor alien designs. The designs are aimed to cater to a more adult audience that grew up with the Rangers franchise since the original airing in 1993. Plot details reveal that the costumes will actually grow onto the rangers when it’s time to suit up on the big screen, while still retaining design elements and homages from the original costumes. With the Power Rangers movie scheduled to hit theaters on March 24th, 2017, you can look forward to more news as the year goes on! 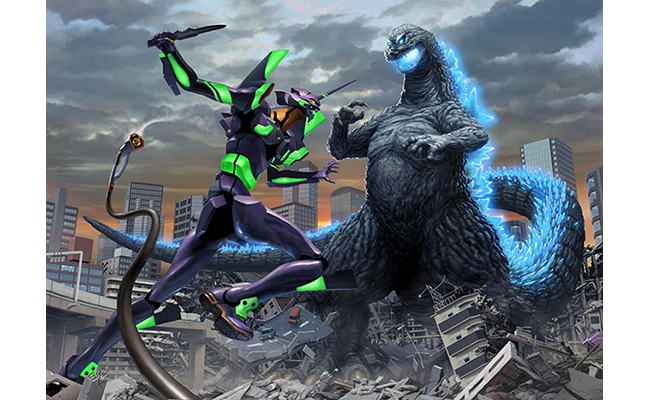 In order to celebrate the upcoming release of “Godzilla Resurgence”, the first Japanese-made Godzilla film since Final Wars in 2004, the film’s official website has released several high-quality crossover artwork pieces of Godzilla facing off with Unit 01 from the “Neon Genesis Evangelion” anime franchise! Hideko Anno, the chief director of “Godzilla Resurgence”, was also the executive director of Evangelion, making this April Fools-themed collaboration between these two franchises even more poignant for fans of giant monster tales. For this special occasion, Godzilla designer Shinji Nishikawa and kaiju artist Yuji Kaida were contracted to make art pieces depicting these two popular monsters, and special prints and clear files of these pieces will be made available for fans who check out “Godzilla Resurgence” in theaters across Japan on July 29th.